So you’ve been hearing a lot about social media lately? Your friends have been posting to Facebook and pinning to Pinterest, but you’re not exactly sure how to begin. Did you know that you can use social media to share your cake decorating talents or your photography skills? There are even social media pages dedicated to dogs. Luckily, most Social Media websites are free to join. All you really need are some great photos and a little bit of time set aside. Let’s use Walter the Wonder Dog as an example. Here he is preparing for another day as a Superhero. If you wanted to put Walter on Facebook, you would need a nice Cover Photo, a Profile Picture and a few minutes to fill out some information about his super abilities. Cover Photos should be rectangular images (851px wide and 315px tall). Profile Pictures are square images and display at 160×160 pixels. The photo you upload for your Profile Picture should be at least 180×180 pixels. Facebook crops images when generating a thumbnail, losing information around the edge. So when you create your Profile Picture, allow a 12 pixel border around the image to allow for automatic cropping. Did you know that Mark Zuckerberg (co-founder of Facebook) has a Hungarian Sheepdog “Beast” with his own Facebook Page? Not only that, Beast has accumulated 978,426 “Likes” right now which shows that he is a very popular dog. Of course, Mark was careful to set up a “Facebook Page” for Beast and not a “Personal Profile” (for humans only). To learn more about the differences between Facebook Pages and Profiles, read Facebook 101: Pages, Personal Profiles and Facebook Phobias. Keep in mind that Cover Photos for Facebook Pages have specific rules associated with them. They are not meant for promotions so you can’t even add Walter’s cell phone number or his email address in the picture. But you can show his ability to leap tall buildings in a single bound. Let’s move on to Google Plus. Interested in this social networking site? You will need a Cover Photo and Profile Picture here too, but the dimensions are quite different than on Facebook. Google+ Cover Photo: 940 pixels wide by 180 pixels high. To create your cover photo, the image you upload must be at least 940px wide. Google+ has a nice tool that will allow you to crop a larger photo just how you’d like it. But be prepared — This needs to be a very wide and skinny photo or a series of small photos in a row. Google+ Profile Picture: 260px by 260px. The right side of the Google+ Cover Photo will be covered by the Profile Picture, instead of the left side like in Facebook. Keep that in mind as you choose your photos. 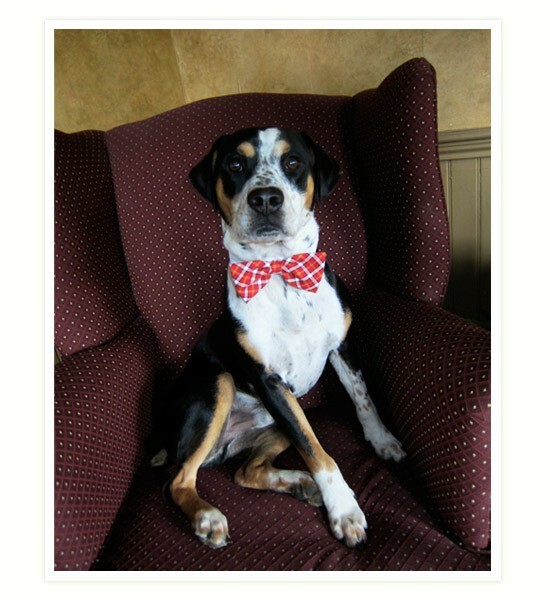 Cooper the Beri Canine is one dog with his very own Google Plus page. This famous dog is a special mixed breed of Dachshund, Chihuahua and Terrier. Cooper has a series of small photos in his Cover Photo instead of one very long one. Thinking about Twitter for your pampered pooch? Get your square Profile Picture ready. Here’s a glimpse of Spartacus the English Bulldog’s Twitter page. NOTE: Twitter has recently rolled out an updated design for profile pages that allows you to insert a header photo. To learn more about Twitter header images, read How to Design a Perfect Twitter Header Image. Thinking about LinkedIn? Don’t bother. LinkedIn is a professional network. Posting images of your dog there would be frowned upon. Let’s look at Pinterest instead. Pinterest is all about images so make sure you have plenty available. The only catch with Pinterest is that you have to set up a Facebook or Twitter account first. When you add an image to Pinterest, it is called a Pin. A Pin can be added from a website or you can upload images from your computer. The nicer your images are, the more likely they will be repinned by someone else (which is a compliment to you and your dog). Need some more quick tips to help you get started? Read Getting Started with Social Media. 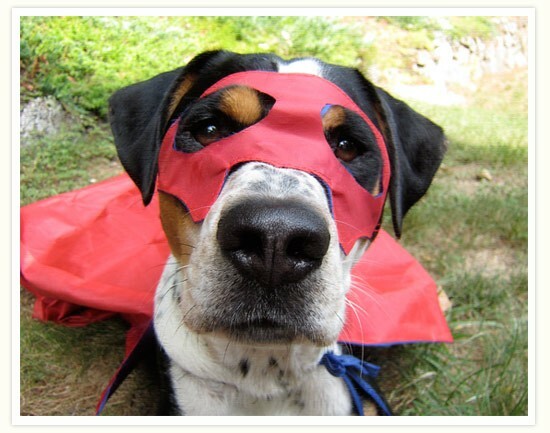 Addendum: Playing the part of “Walter the Wonder Dog” in this tutorial is a rescue dog named “Walter.” He is a mixed breed of unknown origin. Walter was found wandering through a park in Alabama. He was sent north to the Humane Society of Greater Nashua, New Hampshire and that’s where we adopted him. He has no particular talents to speak of but was very cooperative about playing the role of a Superhero for this tutorial. Keep on writing informative articles. We both love blog commenting and I always appreciate yours.